PyCharm and IntelliJ use the same plugin. From here on, we'll refer to both editors as just “PyCharm”. 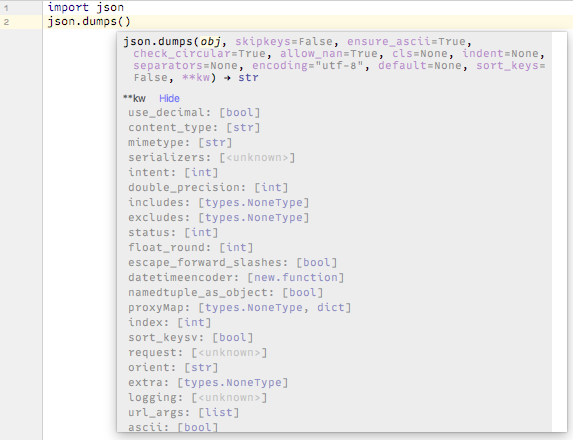 In this article, you'll learn how to access all the features the PyCharm plugin has to offer. Make sure you have PyCharm installed on your machine. The only prerequisites to running Kite on PyCharm are that you have Kite Engine running and the PyCharm plugin installed. 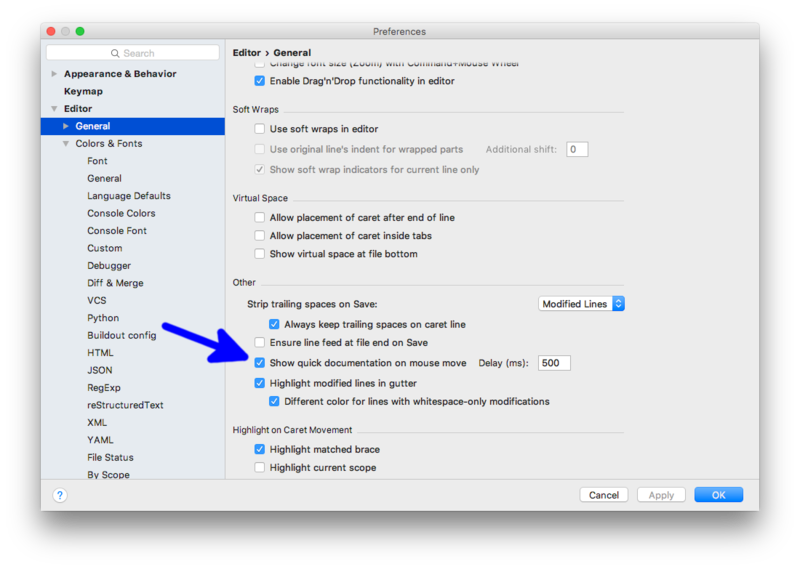 If you don't have the PyCharm plugin installed, you can learn how to do so here. Note: If you installed the PyCharm plugin while PyCharm was already running, you'll need to restart PyCharm for the plugin to activate. 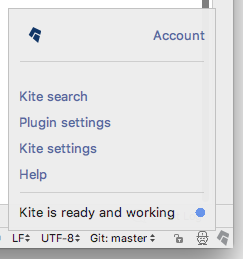 If Kite is installed properly, you should see a small Kite logo at the bottom right corner of the PyCharm window. Clicking this icon opens a menu that will tell you the current status of Kite. Kite is not installed The Kite Engine is not installed. Kite Engine is not running The Kite Engine is not running. Kite Engine is indexing your code The Kite Engine is analyzing your code to be able to serve you results. Kite is ready and working Kite is ready to go - start coding! The menu that appears when clicking the icon will also allow you to access your settings. Kite can also quickly retrieve documentation for the code you are working with. If you hover your mouse over an identifier, you can click on the “More” link to open the documentation in the Copilot. Clicking on the “Web” link in this case would open the same documentation in your browser. You may also select the Kite: Docs at Cursor action from the action navigator.